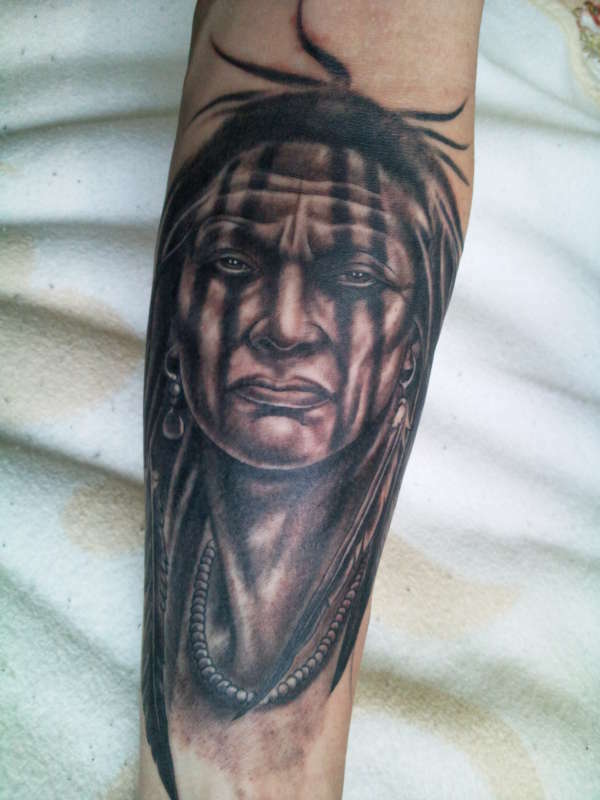 Native American on inner forearm. Please check out my other tattoos and let me know what you think. Amazing. One of the best portrait tattoos I've seen.